The Inn On The Green at Acomb in the outskirts of York has recently seen some real changes. Under new management, with a new chef and with an extended menu and opening times starting on Tuesday 4th June. The pub has recently had a complete refurbishment and now offers a modern bright open plan space for both drinkers and diners alike. Alongside the daily menu there is a great Sunday carvery, daily specials and regular entertainment. 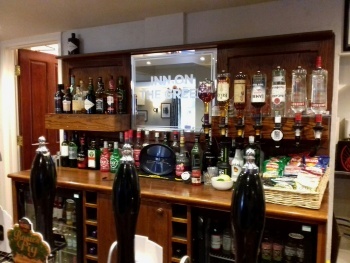 Opening from 12 noon to 2pm Tuesday to Thursday and all day Friday to Sunday The Inn On The Green also offers a wide range of real ales, wines, cocktails and spirits. To the rear of the pub there is an extensive beer garden which is very popular during the summer months and welcomes families and well behaved pets. 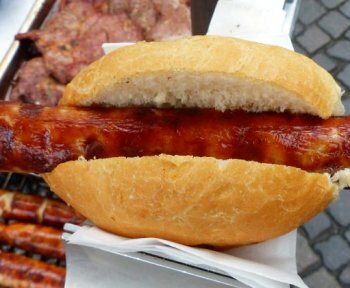 Sausage and Snout are proud to offer you the finest German sausages on the market. Each week their suppliers travel to Germany to import the freshest and best quality sausages. 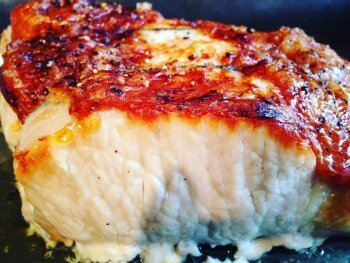 Paul McCarthy is a well known and respected chef in the North Yorkshire area, having worked in some outstanding restaurants. In August 2016 he embarked on his own enterprise, selling high quality lunches over the weekends, delivered free in the Selby Area. This was just the foundation of a business driven by ambition and a passion for great food. In November 2016 Paul started his Community Meal Plan and purchased his Catering Trailer. Offering great quality meals for those in the community in the greatest need at more than reasonable rates and covering outdoor events can only be the way to go for a business with such talent and drive. 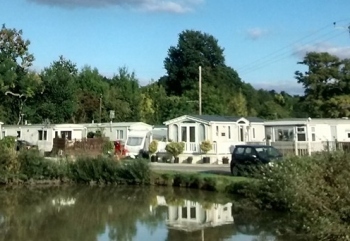 Situated near Selby in the idyllic Yorkshire countryside, Scalm Park Leisure is the perfect location for that relaxing weekend away, a family holiday, a days fishing or golfing. Simply sit back, relax and enjoy the sights and sounds of the Yorkshire countryside. A real hidden gem. A well established 18 hole golf course. A variety of golfing events and tournaments. Unlimited dawn until dusk fishing in three well stocked lakes. Friendly and sociable clubhouse complete with bar, TV lounge, all day food and 24 hour access to the toilet facilities. Our well equipped function room is ideal for any occasion. Hard standing pitches, all with electric hook up. Tenting area, electric also available. Hard standing on all pitches. Electric Hook-up on all pitches. Close and easy access to water taps. 24 hour access to showers and toilets both on site and in our club house. Access to our friendly club house which includes a bar, TV lounge and all day food. Pets are welcome but they must be controlled. Scalm Park also offers luxury chalet accommodation, giving you that little extra. A lounge and dining room. Two bedrooms, and if needed a double sofa-bed. Luxury towels and bed linen. Views of the golf course. Picturesque views of the surrounding countryside. The perfect location making it just a brief walk to the clubhouse and fishing lakes. Unlimited golfing and fishing for the duration of your stay. A sixteen bay floodlit driving range is open daily from 8am to 10pm, giving you the opportunity to finally perfect your game. An all-weather practice pitch meaning you never miss a moment of golf. A friendly and sociable clubhouse where you can relax after a day of golf and discuss the highs, the lows, tactics and tomorrow's game. They welcome golfers of all abilities, whether beginner or advanced. At Scalm Park they just love golf and want to share that passion with as many people as they can regardless of ability. Their sociable and friendly clubhouse is full of welcoming regulars. Whether you are a seasoned pro or you fancy taking up a new hobby, enjoy a fishing trip at Scalm Park Leisure. Choose from any of our well-stocked fishing lakes all of which offer Carp, Bream, Tench, Rudd and Chubb. The lakes are open from dawn to dusk. The function room is also fully decorated with Old Dutch style furniture making it perfect if you want something a little more formal. If you just want a good old fashioned party but fed up with hassle then Scalm Park Leisure can help. They hire out for all sorts of different occasions and are able to provide full catering service.